There are several vitamin deficiencies that could cause numbness of the feet. Vitamins are important nutrients that help maintain the health of many of the body’s tissues, including the nervous system. Certain vitamin deficiencies can cause neuropathies, or nerve damage, that can manifest itself as tingling or numbing of the extremities, including the feet. Vitamin B-12 is part of the B complex of vitamins. B-12 in particular is important for the formation of red blood cells, the cells that carry oxygen in the blood to the tissues. B-12 is also important in the repair of cells and DNA. According to Lab Tests Online, vitamin B-12 deficiency can cause neuropathy, from numbness and tingling of the hands and feet to confusion and dementia. Other signs of vitamin B-12 deficiency include anemia, weakness and shortness of breath. Vitamin B-1, also known as thiamine, is another member of the B-vitamin complex. Thiamine is important in the function of the heart, muscles and nerves. It is particularly important in the metabolic processes that convert carbohydrates into energy for the body’s many functions. According to Medline Plus, thiamine deficiency is most often seen among alcoholics, because alcohol makes it hard for the body to absorb thiamine from the gut. Symptoms of thiamine deficiency include weakness, fatigue and nerve damage that can lead to numbness of the hands and feet. Vitamin D is important for the health of bones and for the maintenance of calcium levels in the blood stream. A deficiency in vitamin D leads to rickets, a condition that causes weak and frail bones. The most common cause of vitamin D deficiency is lack of exposure to sunlight, since the skin produces vitamin D when exposed to the sun. Apart from its weakening effects on bone, vitamin D deficiency also causes bone pain, weakness and numbness in the extremities. 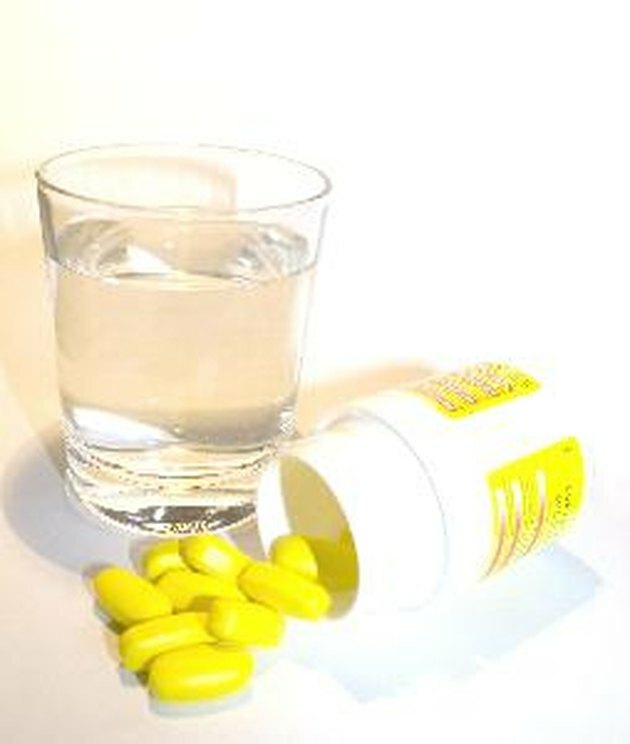 Vitamin B-7, or biotin, is another member of the vitamin B complex. Its main function is to help break down sugars, proteins and fats to be used for energy. According to Medline Plus, biotin deficiency is rare but can lead to numbness and tingling of the extremities, thinning of the hair and a red scaly rash on the face.